Description: Women's Puma Fun Hero Shorts in a Rose Red Heather colour shade. Description: Women's Adidas 'W YOC' Tennis short. 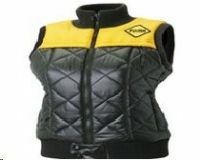 Features a small Adidas logo embroidered in yellow on the front, as well as two side velcro fastened pockets. Also includes an elasticated waist as well as having an Adidas belt buckle fastening. 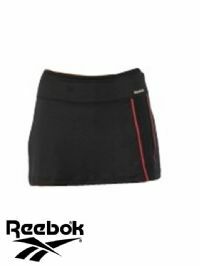 Description: Women's Reebok 'Vibcable' skort. Features a small Reebok logo, as well as a contrast pink stripe down the side. 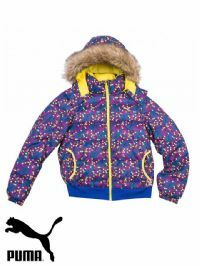 Also includes an interior short lining and is made using 'PlayDry' fabric. 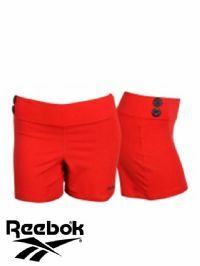 Description: Women's Reebok Classic tight short. Features a small Reebok logo on the lower leg, as well as a button design on the side waist. Description: Men’s Adidas Neo ‘Padded CB Parka’ jacket. Provides excellent padded warmth. Also has a hood and side pockets, as well as chest pockets. Description: Junior Supra 'Skytop' trainer. Features a black leather exterior, as well as having a hi-top design with the Supra logo on the back heel and front tongue. Description: Infant's Supra 'Skytop' trainer. Features a black leather exterior, as well as having a hi-top design with the Supra logo on the back heel and front tongue. Description: Women's Adidas 'Neo Creep' trainer. Features an Adidas Neo logo on the front tongue and three stripes on the back heel. Also includes a front lace fastening, as well as a leopard print across the front toe and a nubuck exterior. Description: Men's Adidas NEP AOP Down Jacket in a Major Green / Camouflage. 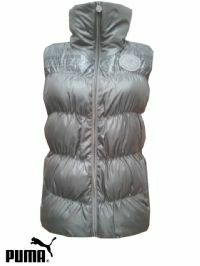 Features 2 outer pockets and zip fastening. 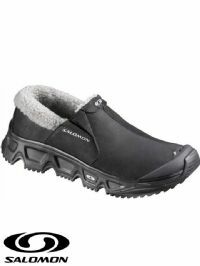 Description: Women's Black Leather Salomon Slip ons with thick fleece padding inside. Description: Adult’s The North Face Arctic Hedgehog Low’ trainer. Features The North Face logo on the front tongue, back heel, and outer side. Also includes a front lace fastening and a ‘HydroSeal’ waterproof exterior. 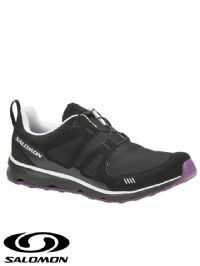 Description: Women's Salomon S-Wind Trainers in a Black with a line of White and Purple base. Description: Adult's Salomon S-Wind Trainers in a Black with a line of White and Purple base. Description: Adult's Salomon Highland Gore Tex Trainers. 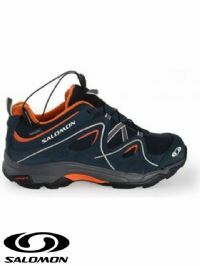 Description: Junior Salomon Trax Trainers in a Navy outer with tough Black rubber base. Description: Women's SS fleece Sweat Top in a pink colour. Description: Women's Reebok 'PlayDry' vest top. Features a small Reebok logo on the front chest, and is made using 'PlayDry' fabric. Description: Men's Adidas 'B.I.F Woven' short. Features a small Adidas logo on the back leg, as well as a 'B.I.F' badge on the front leg. Also includes three stripes down each leg, and is made using 'ClimaCool' fabric. Description: Men's Adidas 'Kaka' crew neck T shirt. Features a small Adidas logo on the lower front waist, as well as three stripes down each sleeve. 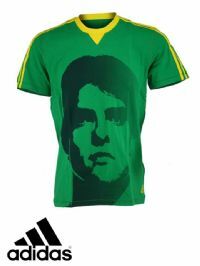 Also includes a large graphic print of Kaka across the front, as well s 'KAKA' embroidered on the lower back. Description: Puma Kenobi Satchel. Feature a small Puma logo, as well as having an adjustable shoulder strap and a zip up opening with various inner compartments. Also has a leather exterior. 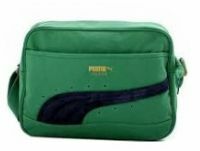 Description: Puma 'Suede' reporter bag. Features a small Puma suede logo on the front, as well as an exterior zip pocket. Also includes an interior zip pocket through the middle and an adjustable shoulder strap. Men’s Adidas SLVR ‘M FO Blazer’ jacket. A one of a kind dinner jacket made by Adidas as part of the SLVR range. 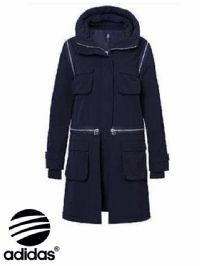 Features buttoned fastening, as well as an inner zip pocket and a pocket on the chest. Also includes two lower side pockets.